As shown is size Medium. 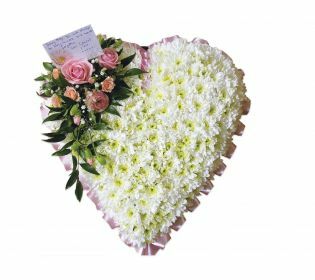 A classic white base of chrysanthemum with a ribbon edge and a feature cluster of beautiful fresh flowers. Other colours are available- please call to discuss this.